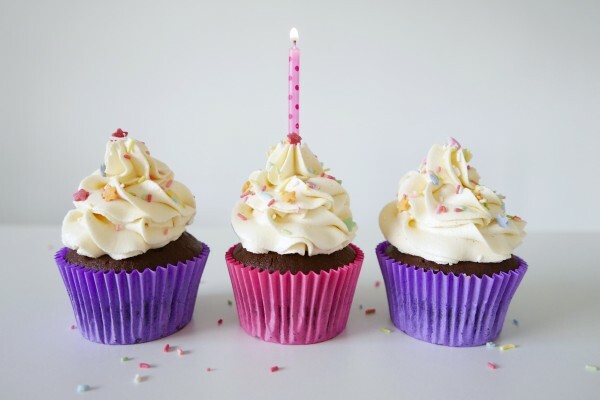 Chocolate cupcakes are the ‘little black dress’ of the baking world, but much like the fashion world, not every recipe has the best fit. 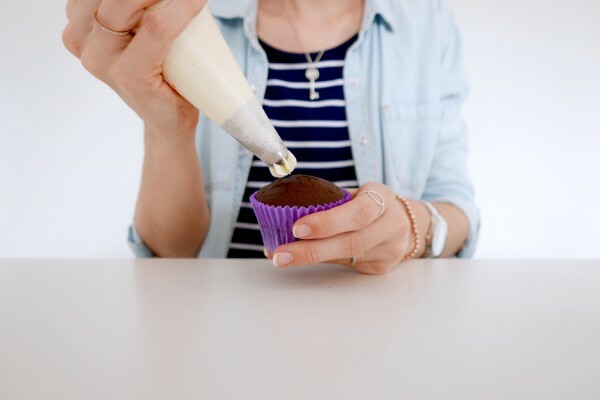 I have trialed dozens of chocolate cupcake recipes – mind the pun – but each time there was something not quite right. And my least favourite of all, wrappers peeling away from the cupcake. 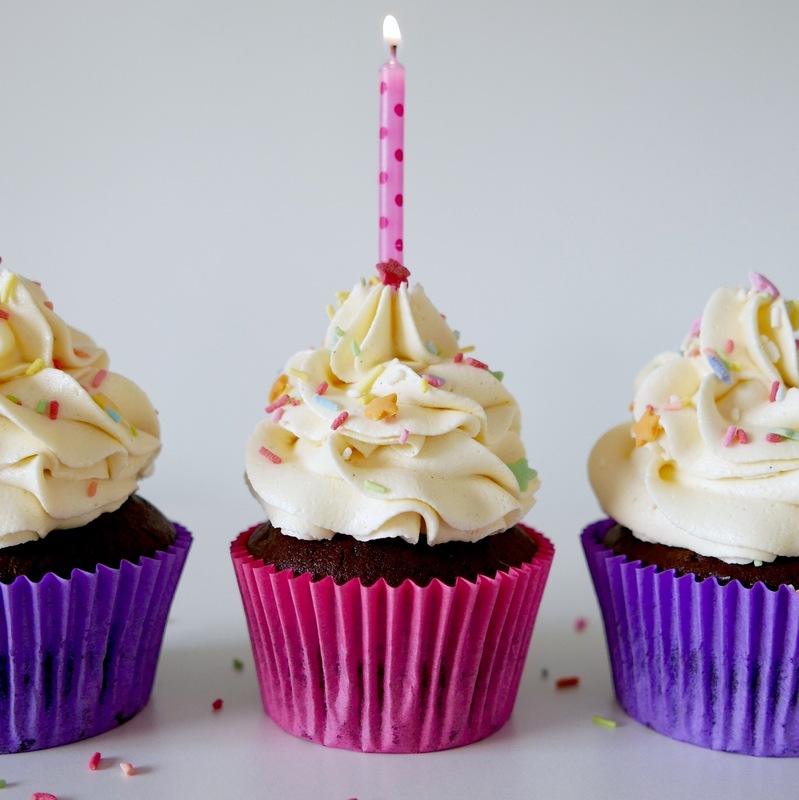 As a baker your worst nightmare is to make beautiful decorations, hours and hours of hard labour, and in the end have them sitting on cupcakes with peeling wrappers. Not pretty. Something that seems like such a small thing, but when you look back, it is the small things that make the difference. 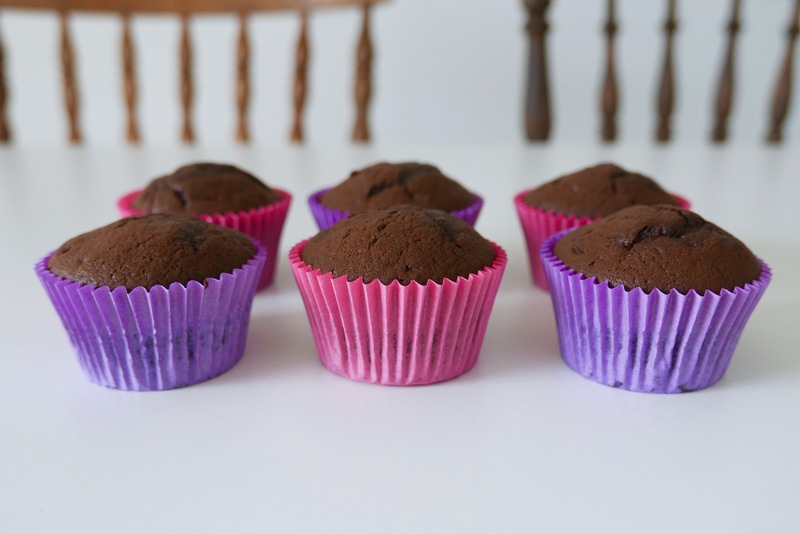 Finally I decided to adapt recipes to make the perfect, no wrapper peeling, extremely delicious chocolate cupcake. Approved, of course, by no other than my father. 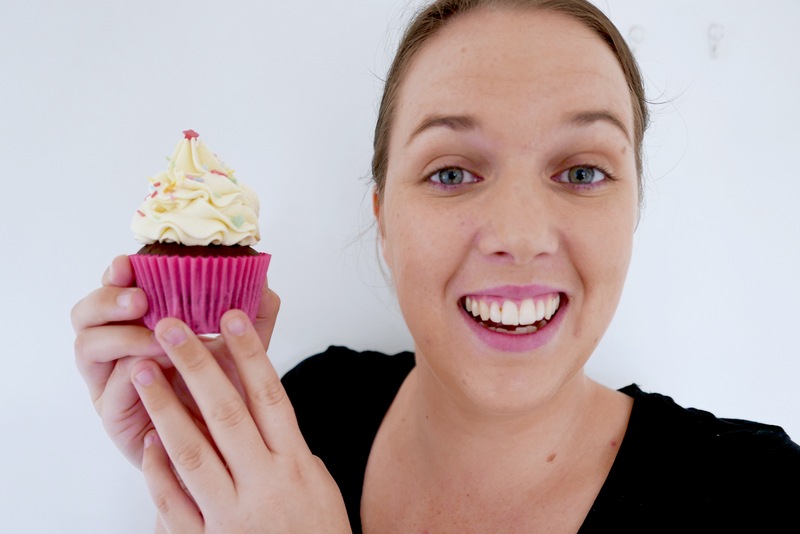 A great honour bestowed upon this cupcake as my father is THE toughest critic. Firstly, when making chocolate cupcakes there is nothing more important than making sure you have good quality cocoa. 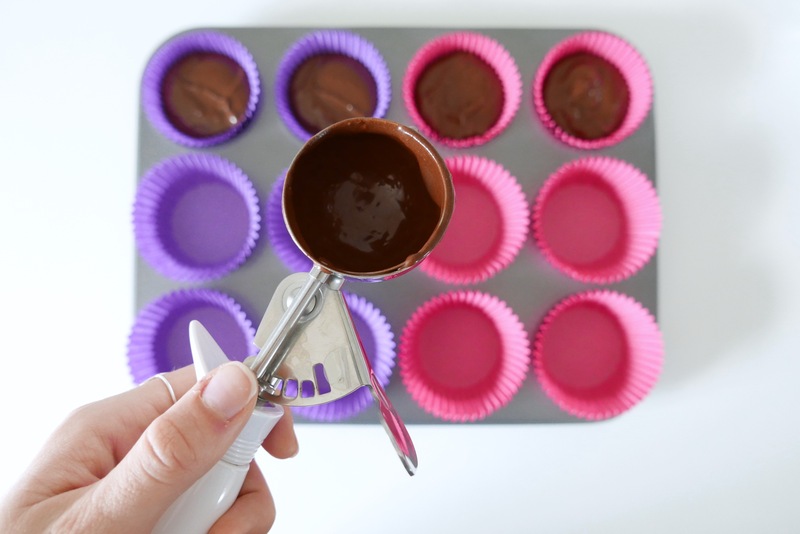 The better the quality and the darker the cocoa the richer and more decadent your cupcakes will be. 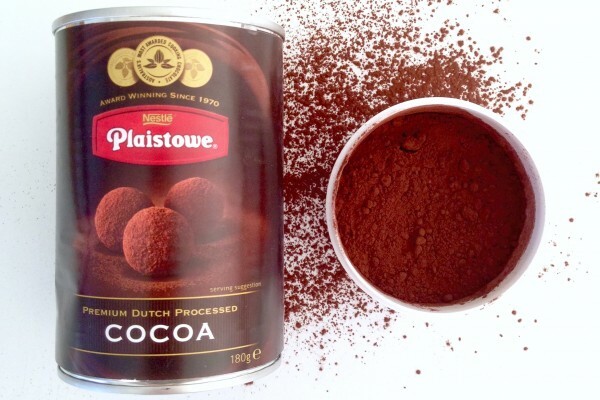 The brand of cocoa I use is Nestle Plaistowe Premium Cocoa, 100% Dutch process cocoa with no added sugar. I believe in buying ingredients from stores that are handy and easy to access so you can buy this from any Woolworths or Coles. There is nothing worse than having to buy extremely expensive ingredients from a specialty store too far from home. 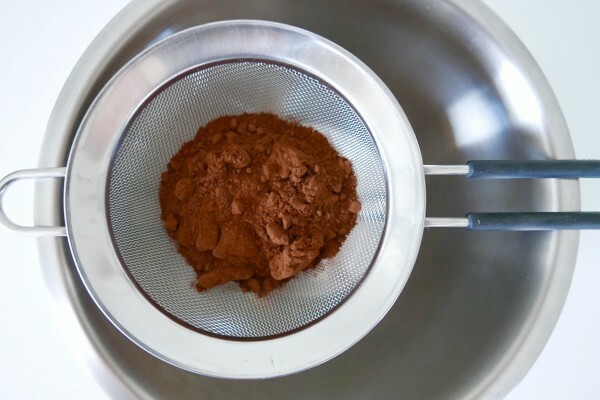 This cocoa is wonderfully rich and not too sweet, so you won’t be adding any unnecessary sugar into your baking. Once you have made your batter the next dilemma is dividing it evenly across all patty cases. The handiest (and also inexpensive tool) for helping you is a mechanical ice cream scoop. If you plan on baking a lot of cupcakes you should invest in one of these, it will be the best $10 you’ve ever spent. Now you have your tips, here is your recipe! 1. Preheat the oven to 180ºC. Line two baking trays with your chosen patty cases. 2. In a bowl (or if you are lucky enough to have a KitchenAid) add all ingredients except the eggs. Mix ingredients together on a low-medium speed until all combined. 4. Spoon or scoop the batter into the patty cases until 3/4 full. 5. Bake in the oven for 15-20 minutes. Makes about 14-18 cupcakes. 6. For the icing: beat the butter until it is white and doubled in size. Make sure to scrape down the edges of the bowl occasionally. 7. Add in the sifted icing sugar gradually until combined. 8. Add vanilla and whip until fluffy (about 1-2 minutes). 9. Frost and serve your cupcakes. The baking time of your cupcakes will depend on the size of your patty cases and how much batter you use for each. Be sure to check your cupcakes at the 15 minute mark to ensure you aren’t over baking them. Look at those patty cases…no peeling in sight. All that is left to do is decorate and EAT! Happy faces all round! 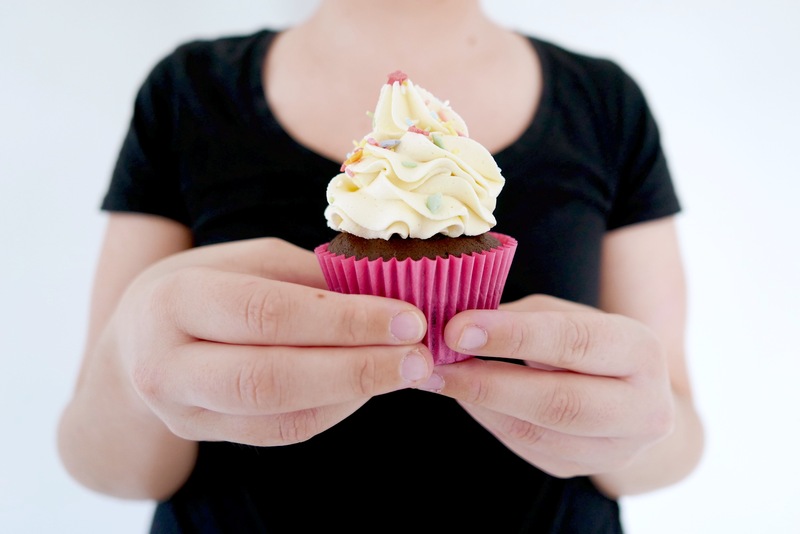 My friends LOVE these cupcakes – and to me they are the perfect judges. So simple but so delicious.